Comment: Foreign political leaders are finally catching on. They are finally becoming aware of the American Imperium’s long obvious Achille’s heel. They are beginning to realize that when the American Imperium sanctimoniously accuses other nations of colonialism and imperialism, it is turning a blind eye and a deaf ear to its own, far more egregious colonialism and imperialism. I’ve made an issue of this at The China Desk in recent years, but not out of any prejudicial “Blame America First” mentality. As my fellow alumni from the 60s know perfectly well, I was never one of the “America Stinks” crowd. I began criticizing the US government only belatedly, well after the end of the Cold War. I began doing so only in response to the relentless demonization of an increasingly liberalized post Communist China by Taiwan independence and Tibetan independence fellow travelers. 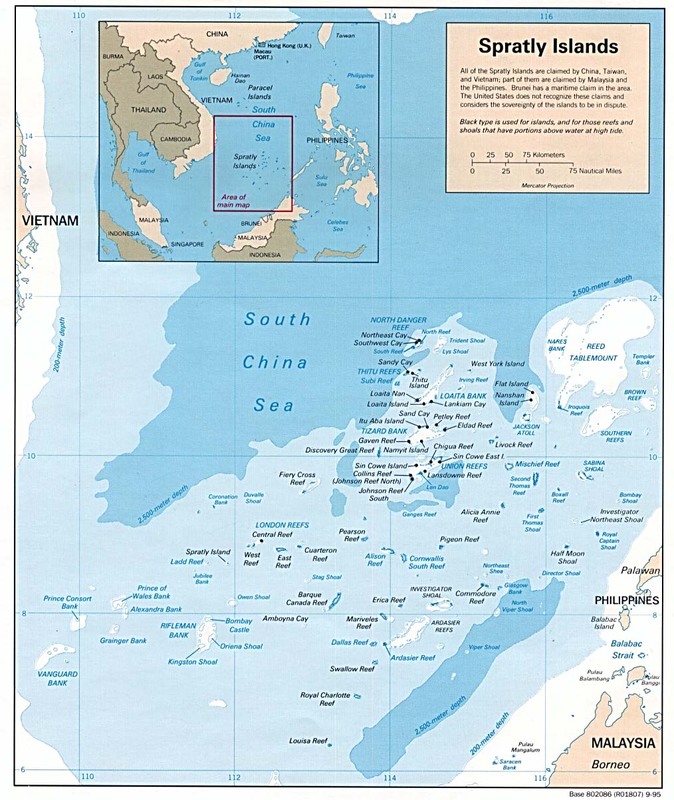 Neocon China Threat theorists point accusing fingers at China for its territorial claims in the South China Sea. But as the name of that body of water clearly denotes, it is squarely in China’s own backyard. 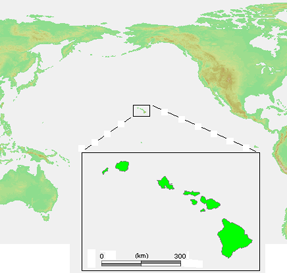 The US government by contrast, lays claim to Pacific islands as far away as Hawaii, in the middle of the Pacific Ocean, and Guam, on the opposite side of the Pacific Ocean. These islands were long ago settled by other peoples, and had their own cultural traditions and their own political systems. They are, not to put too fine an edge on it, currently under colonialist and imperialist occupation. 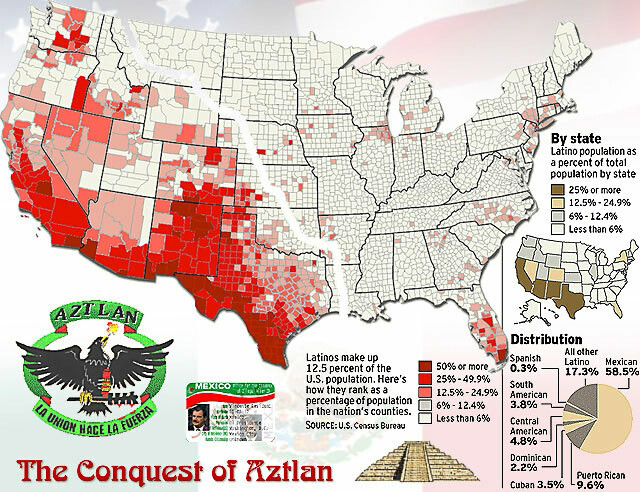 And I haven’t even mentioned lands within the continental US stolen from the American Indians. 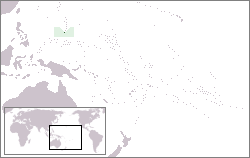 Guam: Why does this Island on the opposite side of the Pacific this belong to the US? By contrast, China’s claims to uninhabited islets in the South China Sea, quite close to the Chinese mainland, far closer to the Chinese mainland than Guam or even Hawaii are to the US mainland, are far more geographically plausible, not to mention far more historically justifiable. One can’t help asking, just exactly who’s the colonialist? Who’s the imperialist? 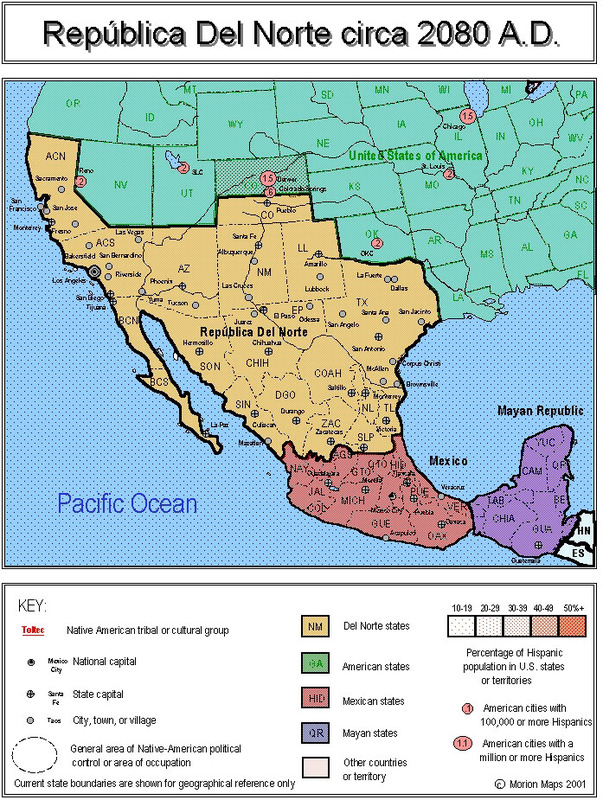 So why aren’t celebrity China bashers Richard Gere and Steven Seagal railing against the US government’s annexation of territories that rightly belong to its southern neighbor Mexico, or the US government’s continued occupation of the sovereign and independent Kingdom of Hawaii? Could it be that these wealthy and privileged Hollywood luminaries are more Chauvinistic and less humanistic than they would have the world believe, and hold the US government to more lenient standards than they hold governments headed by “wogs” (wily oriental gentlemen)? The US government has been remarkably successful in playing Rudyard Kipling’s “Great Game of Empire.” It has managed to divide and conquer one potential strategic rival after another, citing the very rationale the Russians are using against the US right now. Republica del Norte circa 2080 AD? Russian Foreign Minister Sergei Lavrov, during a press conference held in Sweden today, threatened the breakup of the United States by stating that an American unilateral recognition of Kosovo as an independent Nation ‘could’ prompt Russia to do the same for California ‘should they request it of us’. “The United States is pressing for a quick UN vote on Kosovo, but is ready to take on Russia’s threat of a veto and move on to unilaterally recognise the Serbian province’s right to independence. US President George W Bush on Sunday chose Tirana as a backdrop to make an urgent call for Kosovo’s independence, refusing an “endless dialogue” on the future of the UN-run province. US Secretary of State Condoleezza Rice “will be moving hard to see if we can’t reach an agreement” in the UN Security Council between US and Europeans which are for Kosovo’s independence, and Russia, which is against. Belgrade was “disgusted” with US President George W. Bush’s call for Kosovo to quickly be granted independence, Prime Minister Vojislav Kostunica said, insisting Washington had no right to give away Serbian territory. “The United States has a right to support certain states and nations in accordance with its interests, but definitely not by giving away as a gift something which does not belong to it,” Mr Kostunica said. “One day after the Group of Eight (G8) summit wrapped up in Germany, Russian President Vladimir Putin met on June 9 with Serbian Prime Minister Vojislav Kostunica on the sidelines of an economic forum in St. Petersburg. Afterward, Putin told reporters that it was “with pleasure” that he had informed Kostunica of the outcome of the G8’s negotiations on the future status of Kosovo. It was a deadlock — with Russia once again rejecting a UN Security Council draft proposal that would grant a form of internationally supervised independence to the province, which has an ethnic-Albanian majority. 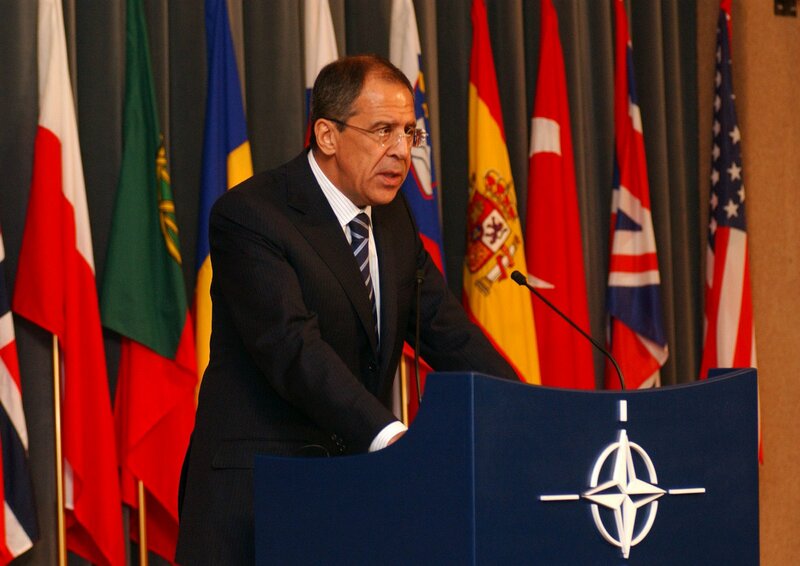 Foreign Minister Lavrov’s equating of the United States State of California with Kosovo does appear to be apt, as like the breakaway Serbia Province being controlled by Muslim Gangs, California is, likewise, controlled by Mexican Gangs, with the California Department of Justice stating that the number of these gang members in California are estimated at a staggering 300,000 . “FBI has recently announced that ethnic Albanian gangs, including immigrants from Kosovo, are replacing the Italian La Cosa Nostra mafia as the leading organized crime outfit in the US. It is, also, most curious that President Bush was received by the Albanian criminal Nation with ‘wild’ enthusiasm and cheering crowds, who, according to some news report, stole his watch while he shaking hands with them. Russian Military Analysts, in their reports, state that California does indeed contain those elements needed for an independence movement, which include: 1.) A large armed militia (gangs) separate from and in conflict with US government control. 2.) A growing illegal migrant base willing to displace the local population. 3.) 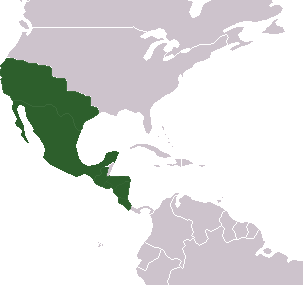 A foreign state on their border sympathetic to their cause, in this case Mexico. 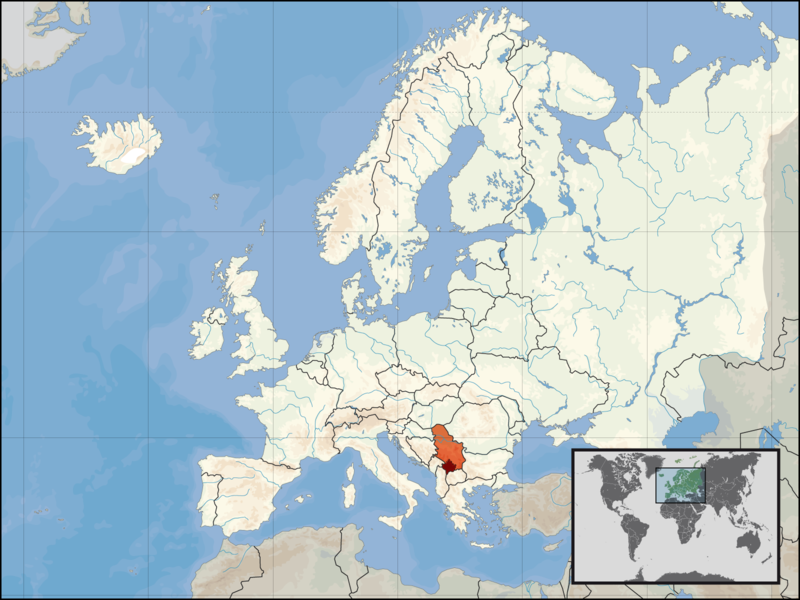 “Serb leaders in the breakaway Kosovo province Thursday accused four European countries and the United States of assisting ethnic cleansing of Serbs from Kosovo by handing them immigrant visas. Marko Jaksic, president of the Alliance of Serb Municipalities in Kosovo, said the US, Norway, Sweden, Denmark and Finland were among the countries which helped Kosovo minority Serbs to emigrate, paving the way for Kosovo independence, demanded by majority ethnic Albanians. © June 13, 2007 EU and US all rights reserved. Wow… Talk about being a political virgin… real or feigned.